Does Chloride Dioxide Cure Autism? As some of you may know, I spent a few weeks working at Paul Wheaton’s permaculture lab in Montana this summer. My duties included keeping the kitchen clean, so I got to connect with many interesting people who gathered around the table in the Wheaton home. 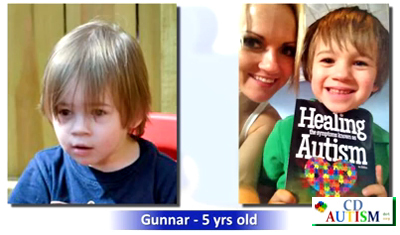 One of them was Daniel Bender, a videographer and world traveler who was there filming the Permaculture Design Certificate course, and who had previously been involved with Kerri Rivera and others in producing a book called Healing the Symptoms Known as Autism. With one in 68 US children afflicted with Autism Spectrum Disorder (ASD), the condition has gone mainstream. It has it’s own “Parenting” type magazine, a musical production, and Sesame Street character. I’ve noticed some backlash from the status quo types to stop trying to cure people of autism and just accept them how they are, like it’s a new normal. Healing the Symptoms Known as Autism explains how chlorine dioxide (CD) in combination with diet and other modalities is being used to overcome autism. Like everything that interests me, the approach is controversial. Daniel Bender mixed up some chlorine dioxide at the kitchen table and talked about how many people are afraid to take it because they liken it to drinking bleach, which it’s not. And, he said, while everybody else around the house had caught a cold, he was fine because of the CD. He also said something about it being explosive. Reviews of the book on Amazon are split about three to two in favor of the protocols shared therein. Two-thirds give it mostly five stars and one-third say its bunk. The one-star comments sound suspiciously similar and troll-like, as if the writers are working from the same list of talking points. Daniel Bender had mentioned life-threatening backlash from the Powers-That-Be. I don’t know the details, but here is an hour long video presentation by Kerri Rivera, a mom whose youngest son was diagnosed with Autism in 2004 and has shown significant improvement by using the modalities discussed in the book. For heartwarming inspiration, go to the end of the film at 40 minutes to watch Rachel, a 10-year old, share her testimony that she recovered from autism with CD and hyperbaric chamber therapy. Chlorine dioxide neutralizes heavy metal compounds by removing their electron shells, according to Kerri Rivera. It has been used for years against fungus and bacteria, and is the most preferred method of disinfecting municipal water. It has been used to sterilize hospital floors, slaughterhouses, and to kill fungus on fruits and vegetables. In small doses, it is marketed as a chemical water purifier, more popular than iodine tablets among back country trekkers. Chlorine dioxide is an oxidizer that works in a similar way to hydrogen peroxide and ozone, but it is less powerful and does not cause harmful side effects, according to Jim Humble, a former aerospace technician, who stumbled on its healing benefits when prospecting for gold in Guyana in 1998. Several of his helpers got sick with malaria and access to medicine was several days away, so he asked if they would like to try some of his water purification drops. They did, and felt better in four hours, being well enough to return to work the next day. After that Jim Humble gave the drops to other malaria sufferers in the jungle, but when he started doing it in the city, he was stopped by the government at the request of international pharmaceutical companies with interests in Guyana. Back in the US, Jim Humble worked on perfecting the solution, which he says, had been sold for many years as stabilized oxygen. He sent the improved version to friends in Africa who tried it on malaria victims there with great success, according to statements he made in an interview on Project Camelot in 2008. He developed a product called Miracle Mineral Solution (MMS) and the alternative health community worldwide was abuzz with discussions about it in 2008. At that time, he was flying under the FDA radar but by 2010 the FDA released a warning not to take it after receiving complaints from consumers about alleged health injuries from MMS, such as upset stomach, nausea, and diarrhea. To get around FDA regulations, Jim Humble started “Genesis II, Church of Health & Healing, the sacrament of which is MMS. “If handled properly a church can protect us from vaccinations that we don’t want, from forced insurance, and from many things that a government might want to use to oppress us,” he said, according to an unflattering article in The Guardian. Many of those writing negative comments on Amazon suggest this approach to correcting autism amounts to child abuse for making children “drink bleach.” They don’t seem to realize that CD is not chlorine bleach, and that it’s approved by the FDA for human consumption. (Title 21 Food and Drugs, Part 173 — Secondary Direct Food Additives Permitted in Food for Human Consumption SS 173.300). Much of his MMS has been distributed through missionaries, in Third World countries like Uganda, Kenya, Sierra Leone, Tansania, and Malawi with thousands healed of malaria. When word starts to spread in these areas, people come in for treatment. 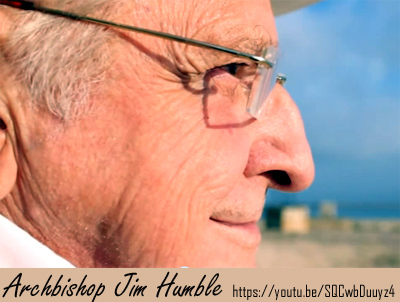 Unfortunately, Jim Humble says, incidents occur that slow things down, such as when missionaries contact their doctor partners in the US, who tell them not to distribute MMS. The medical establishment in the US has not been receptive to MMS, he said, but in Mexico medical professionals have been helping him with clinical trials for AIDS, Hepatits C and cancer. An earlier video with Kerri Rivera shows that MMS is a mixture of two compounds: 28% sodium chlorite and 50% citric acid. When added to the sodium chlorite, the citric acid brings the combined pH level under 5, which causes the sodium chlorite to become unstable and release chlorine dioxide gas. Kerri Rivera credits biophysicist and lead researcher of chlorine dioxide, Andreas Kalcker, for creating the parasite protocol that uses CD enemas and a diet free of gluten and casein in alternative autism treatments today. He says it’s preferable to activate the sodium chlorite with 4% hydrchloric acid because the citric acid at 50% is much too strong and it leaves sodium citrate residue that causes diarrhea. The sodium citrate is also relished by an unfriendly bacteria in the gut. It’s worth watching this videos about his ideas on how autism is linked to parasites. Autism is directly related to vaccines because they encourage proliferation of parasites in the gut and what he calls, “vaccinal parasitosis,” which is curable by addressing chronic gastrointestinal intoxication emitted by parasitic action in the digestive system. At the time of the interview on this video, the cross relationship between parasites and vaccine-triggered autism had never been tested, just hinted at in scientific literature. spent most of the day lying around. To his surprise, the dog was actively running around like a pup the next morning. Chlorine dioxide gas is an oxidizer with a lower oxidation potential than any other oxidizer known. Oxidation potential is measured in volts. Chlorine dioxide is .95 volts; oxygen 1.28 volts; hydrogen peroxide 1.73 volts; ozone 2.07 volts. The result is that CD reacts with toxins, poisons, metals, and other substances in the human tissue to remove them, but it does not harm human tissue. CD is used internally in tiny amounts in water, and is active in the body for 1 to 2 hours. It is fast acting and has been known to reverse the symptoms of malaria in 4 hours and kill bacteria in a petri dish in 2 to 3 seconds. 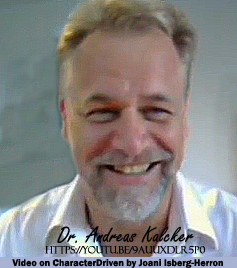 “I think we are on the edge of a paradigm change in the healing industry…and that will help us into a paradigm change into the brutality of man against man…that change may take 50 to 100 years, but it’s changing and it never has changed for hundreds of thousands of years…There are a lot of people one earth now that are beginning to do what they know is right,” Jim Humble said. This entry was posted on November 5, 2015 by simpleunhookedliving in Alternative Healing, Current Events & Signs of the Times and tagged Andreas Kalcker, autism, chlorine dioxide, Healing the symptoms known as autism, Jim Humble, vaccination, Vaccine.